Time Clickers is an incremental game, a newish term for a genre that’s perhaps better known to host idle and clicker games, that is, games like Cookie Clicker, Progress Quest, and Candy Box. These games generally have no end objective and offer the player little avenue for input, but are wildly addictive. I’d like to think these games are best experienced passively with a routine check-in, but that hasn’t stopped me from spending elongated sessions with them or alt-tabbing to one of them every 30 seconds. The endless grind for improved effectiveness results in short-term satisfaction and long-term emptiness that usually sees me dropping off. The viewpoint is stationary although the cubes are visually interesting and the particle effects are immense. The basic, never-ending objective of Time Clickers is to destroy waves of assembled cubes. Doing so generates cubes to spend towards weapons, abilities, and upgrades. It starts off innocuously enough with a measly handgun but after a minute, the player has accumulated enough cubes to hire some additional weapons. Altogether, the player can eventually hire five other weapons that dropped out of Unreal Tournament, not to mention the ability to unlock idle mode for the handgun so they don’t have to actively destroy cubes themselves; a slew of abilities are also available for purchase. At this point, progress is based around increasing the DPS, thereby increasing the revenue intake. Each of the weapons can be endlessly upgraded and for the first run or two, that was my singular motivation. The time aspect of the game comes into play in the form of Time Warps (as well as spending time “playing” the game, I suppose). After wave 100, a new type of cube begins appearing, one which can be spent on a variety of upgrades in the game’s skill trees. To spend these however, one needs to Time Warp back to wave 1. With each successive Time Warp, waves go by quicker, upgrades come faster, and Time Cubes, this new form of currency, are accumulated well, more rapidly. The “wall” one hits where enemies are too tough keeps extending into ever higher waves and progression somewhat resembles a roguelike in this way. This currency and these skill trees are now motivating me although I can still look forward to Weapon Cubes which begin appearing after wave 1,000. I haven’t gotten that far but the related unlockables don’t seem as clutch as the ones I’m dealing with now. Speaking of immense, the skill trees shown here will take a long time to complete, if they get completed at all. At this point, after about two weeks with the game, I don’t see a window for when I’ll be satisfied or done with it. I’d like to treat this game more as a timewaster, but I routinely find myself glued to it when there’s no time to waste. It’s a very addictive game and indicative of what so many of its contemporaries do so well: take a barebones approach to progression and ratchet up the feedback and reward loop. Time Clickers in particular is a prime example of this and with mobile and Steam versions that support a unified cloud-save system plus leaderboards it’s an easy sell for a free game. Shoot, the mobile version incentivized watching ads well enough that I did nearly every opportunity they came along! It’s inevitable that my focus will eventually turn away from Time Clickers, but for the time being I’ll keep alt-tabbing and wasting my lunch hour away with it. It’s no surprise that my playthrough of Her Story was unique. After all, it’s the type of game that walks the tightrope between video games and more generally, an interactive experience. In my case, it was a cooperative playthrough with a friend. We had returned from a local independent theatre after watching Why Don’t You Play in Hell?, a riotous Japanese language film. (Wowzidukes! This article is going to earn me so much hipster cred!) I rarely play PC games so this was somewhat unusual but I’d heard much of it through social media word of mouth and gaming sites last week, plus it was only five bucks. It was a good plunge to take too, as the game provided a fun cooperative experience. The presentation of the game was top-notch. Notice the light glare on the CRT monitor! 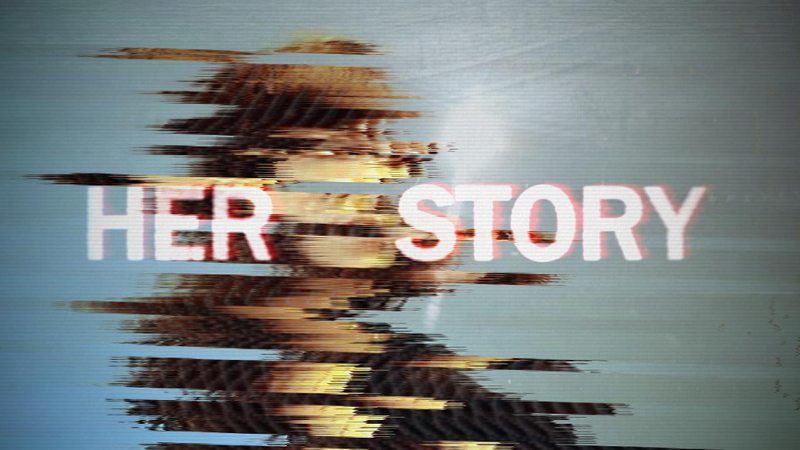 Her Story revolves around a series of interviews that the police conducted with a British woman whose husband was found dead in 1994. These were filmed at the time but for whatever reason, are no longer able to view in their entirety. 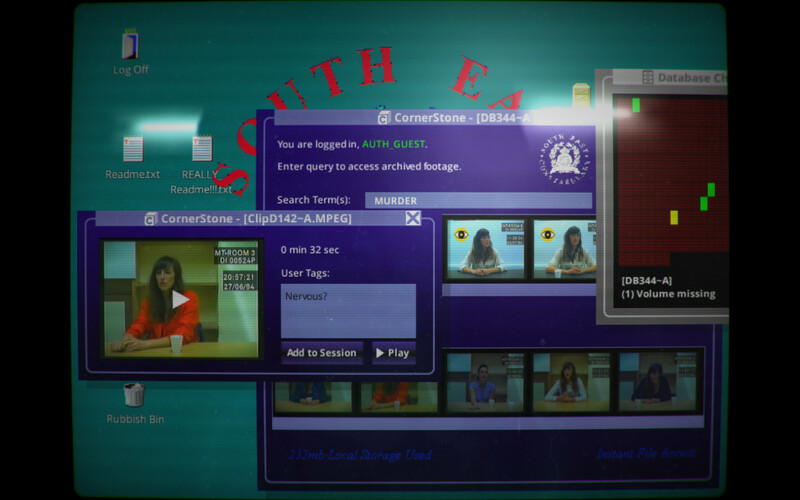 Instead the player can interact with a police computer and search a database that retrieves clips based on search terms or phrases. The corresponding video clips seemed to average about thirty seconds in length. 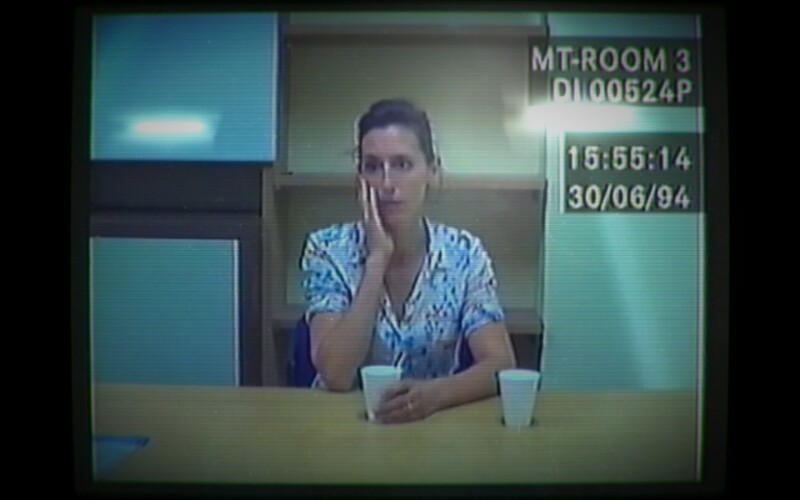 It’s unclear what ever became of the woman and the police’s investigation, but it’s implied that’s what the player’s character is after and serves as motivation for the player. The way the game is presented is nostalgic. The police computer that the player interacts with appears to be running a dated version of Windows on an equally ancient CRT monitor. When a search is conducted, it takes a second for the computer to produce the results and the work it performs is audible. The player isn’t locked to a single program however as there are a few .txt documents and a “rubbish bin” with a minigame on the desktop. Crucially, all of the video footage is rendered as full-motion video. FMV tends to be a divisive issue in terms of video games, but the execution of it here is perhaps the best example I’ve seen, even beating out the Mad Dog McCree trilogy! The police computer in question, with the woman in question. I’ll save any sort of plot spoilers or ruminations for another article. The way everything played out led to a lot of discussion between my friend and I. After our initial playthrough, there were two obvious ways everything could’ve happened, but I think we’re still undecided on the truth. I’m looking forward to replaying it with him so we can take detailed notes and reach a verdict. That in itself is hardy praise for Her Story. I feel confident enough with my theory on what happened that I’d be satisfied enough to move on, but I want to fire it up again, and definitely will this weekend. It’s well worth a look. Team Sweepy, hamming it up for the camera. The next game my friend and I transitioned to was Greywater – an isometric role-playing game in the vein of Diablo. If Project Land Mineded was the most technologically proficient game I played, then Greywater had the strongest art direction and implementation. The steampunk influences were readily apparent at first glance and the art style was complimented by a 19th century backdrop of a highly polluted city – hence the name, Greywater. It also seemed like there was a lot of story and character development already present in the playable demo, more than any other game I played at the show. That said, I actually didn’t play much of the game as I didn’t gel with the control scheme. I might not be recalling correctly, but I believe movement and attacks were done via the keyboard while menu navigation was with the mouse. I would’ve preferred most everything but movement be done with the mouse. I also didn’t get a good sense of feedback when attacking enemies. I couldn’t tell if I was damaging them or missing completely. 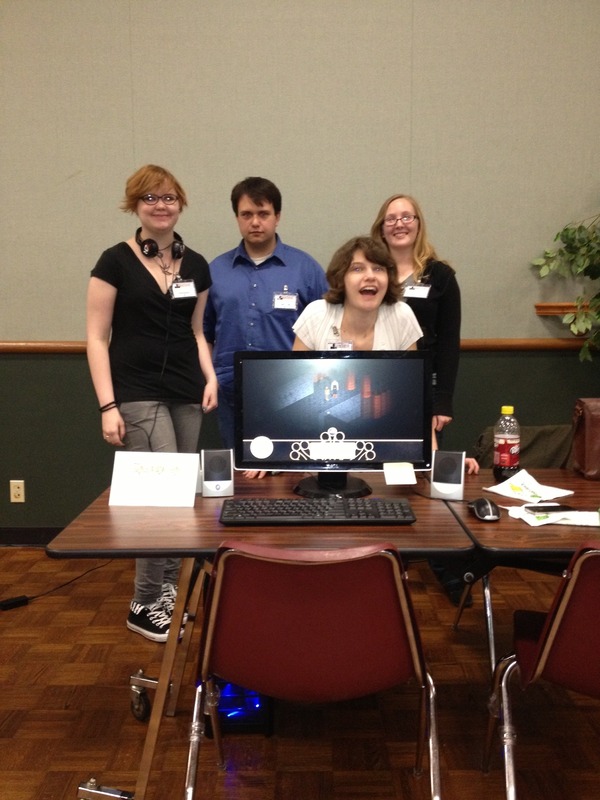 I wish I’d played more of Greywater in hindsight as Team Sweepy placed second in the game showcase and won the gallery show. Congrats to them! If you wanna follow their progress, you can do so via their Tumblr or Twitter. Watching Phantasy Star Online Episode I & II’s attract mode and listening to its main theme is haunting as it reminds me just how much of an impact the game has had on me. When I began playing the GameCube rerelease of the classic Dreamcast game, I was just developing a burgeoning appreciation for video games. It was a form of escapism – it transported me into a spectacular science-fiction setting where I’d spend hours searching for better gear, rare loot, and just taking in the sights. Its action-based combat and role-playing foundations were not only appealing to me, but what I still consider to be one of the pinnacle’s of video game design. I’ll routinely return to it and I can easily get sucked back in for hours. PSO’s story was light, but I felt as though I truly was a pioneer uncovering the mysteries of a brave new world. Sega has made plenty of sequels to PSO since its original Japanese release of late 2000, but none of them properly advanced, or even recaptured what made PSO so great. The most notable among them, 2006’s Phantasy Star Universe introduced an honest-to-goodness attempt at a narrative which, in my eyes, fell flat thanks to my low tolerance for the adolescent anime that inspired it. Yet the most incriminating blow against PSU was its decreased emphasis on dungeon-crawling and looting. However, it seems Sega’s losing streak is about to end with the release of Phantasy Star Online 2. 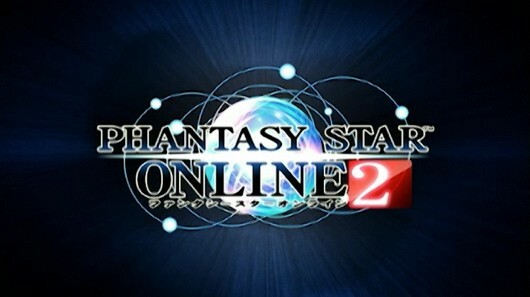 After entering open beta on June 21, 2012, I jumped at the chance to check out PSO2 for myself. Unfortunately for me, the beta is hard to understand because it’s completely in Japanese. Luckily, there are plenty of English-speakers who are rallying together to translate the beta and enjoy it. I have to give massive thanks to bumped.org for assembling many great guides ranging from how to download the beta to complex menu navigation. A party taking on a big baddie. Although my time with PSO2 has been brief and I’m usually in a state of confusion, I’ve been able to gleam many things about it thanks to my experience with PSO. Firstly, the game looks amazing. Character designs retain the non-flamboyant sci-fi anime style from PSO while, unfortunately, still housing some over-the-top designs in the vein of those from PSU. The first playable stage, the forest environment (the only I’ve played in) harkens back to PSO’s first stages while marking massive technologic advances since 2000. 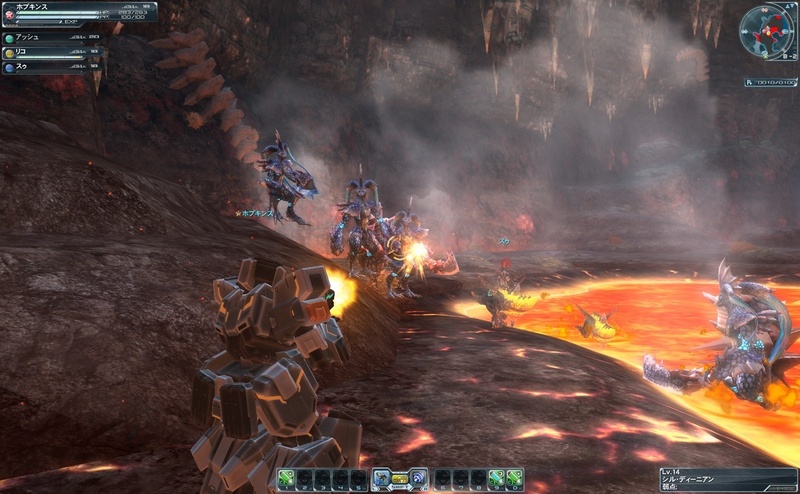 PSO2 looks phenomenal and it seems like it scales well, accommodating laptops up to high-end gaming PCs. Combat is still based around rhythmically forming combos. Attacks are sequenced together by timing button presses, generally up to three times. Previously, animation preferences made combat less than fluid, although now it seems sets of three-hit combos can be started much quicker after one ends giving combat a better flow. 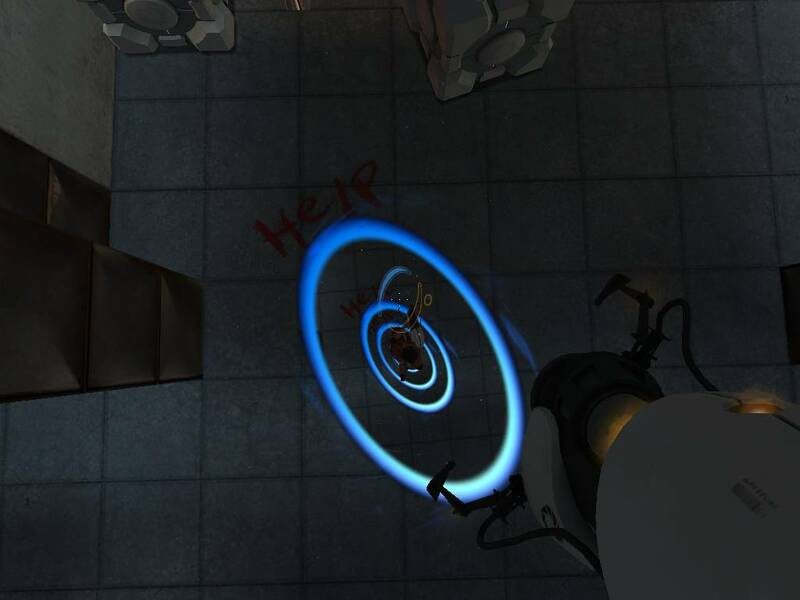 Enemies can be locked onto ensuring accuracy with specific weapons like guns, but a new camera angle presents the game more like a third-person shooter which may be more appealing to some folks. 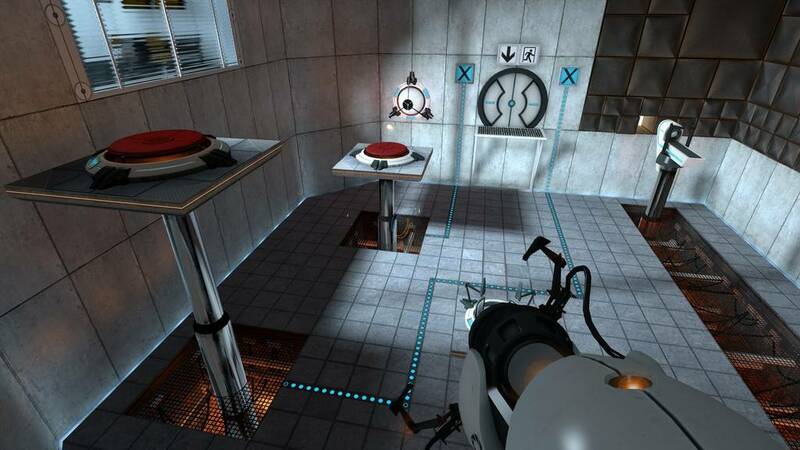 Also brand new is a jump button which can be used to navigate environments better and reach weak spots on enemies. Loot is indeed present but I can’t provide any detail thanks to the language barrier. The third-person shooter mode actually makes sense in this series. Players still pick from one of three classes; a decision revolving mostly around swords, guns, or magic. However, characters are no longer locked to a class, they can be changed whenever but the character has three levels – one for each class. Character customization is accounted for and it’s as deep as it has ever been. Spaceships representing servers are the characters’ residences and here humankind thrives. Other players wander about as though they were in a virtual mall, which they are – shops are abound. Of course communication is a major aspect and plenty of players have mastered the art of picture chat. Alone or with a posse, missions can be tackled that, with an understanding of the language, would unravel the mysteries of the game, but as is just provide another obstacle to enjoying the game. Phantasy Star Online 2 seems very promising to me. As someone who loved PSO, but not much else past that game, I appreciate that the developer’s have that game in their mind. 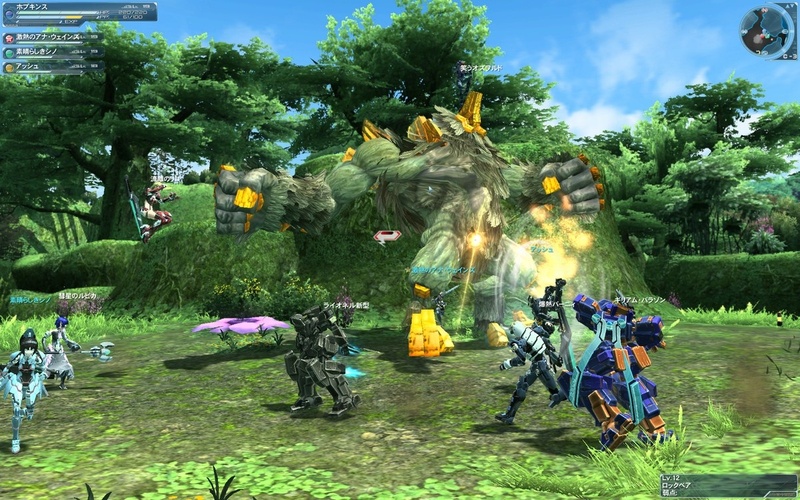 I hope PSO2 is as eminently replayable as PSO was – complete with multiple difficulties, loads of loot, weapon grinding, and character progression. As of now, I can’t fully experience the open beta and understand all of the changes, but the fact that they aren’t straying too far from the original formula is satisfying enough to me. After all, I spent three hundred plus hours with PSO without ever going online. This isn’t the Jamestown we learned about in school. I’m relatively inexperienced with the PC scene, but thanks to the Humble Indie Bundles, I’ve been dipping my toes the water more often. With the fourth and fifth HIBs in my possession, I recently decided to jump into Jamestown: Legend of the Lost Colony. Developed and published by Final Form Games (a studio consisting primarily of just three dudes!) and released last year, it’s an homage to the shoot ‘em ups of the 16-bit era wrapped around an alternate-historical story. It’s the early 1600s and thanks to unmentioned advancements in technology, the British have colonized Mars instead of North America. Unfortunately, a combined force of Spanish and Martian soldiers is causing trouble for the British settlers and it’s against this backdrop that a personal story is told involving many real life figures. The game is brief so there isn’t much in the way of narrative, but the interesting setting and alternate-historical story is a neat addition to a smooth game. 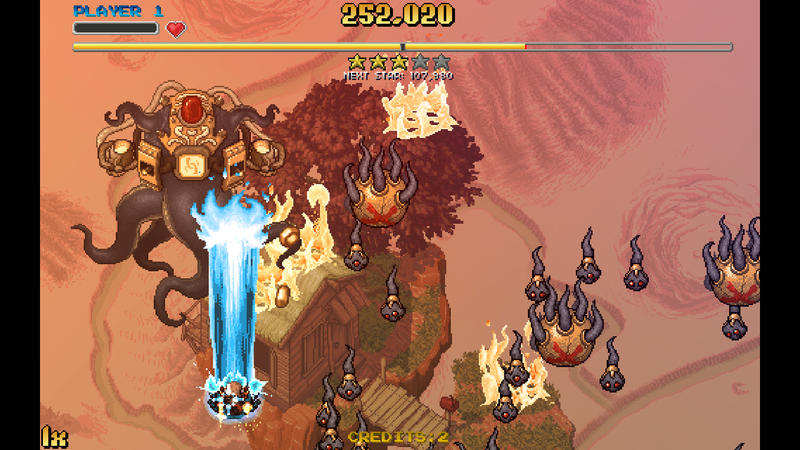 The bosses that capped off each stage were impressive. As I mentioned, the developers of Jamestown must have some reverence for the shoot ‘em ups of the 16-bit era. The graphics appear as if they’re straight out of an arcade cabinet circa the early 1990s. Also, it was around this time that bullet bell shooters were beginning to arrive on the scene and Jamestown clearly fits into this subgenre. Jamestown starts off simply but eventually cranks up the difficulty when hundreds of bullets are on the screen at any given moment. These types of shooters generally require catlike reflexes and lots of pattern memorization but thankfully, Jamestown isn’t too gnarly. I found it to be paced very well, subtly cranking up the difficulty as stages progressed until the final encounter which tested my skills in different ways. The gameplay “hook” for Jamestown is a move called the Vaunt. After filling a gauge, I could Vaunt, at which point a shield would temporarily eradicate any nearby bullets. As long as I could keep the gauge full by collecting coins, I’d also have increased damage and a 2x points multiplier. Although the game proper is brief (easily completed in one sitting), there are plenty of incentives to keep playing. With the story finished, it can be replayed in Farce Mode which exchanges the serious text in the cutscenes to something more whimsical. There’s also a second mode of challenges that have super specific goals. But my two most favorite aspects about Jamestown were the ability to play it using an Xbox 360 controller and the local multiplayer for up to four people. With an Xbox 360 controller in my hand and my laptop hooked up to my TV via HDMI, I was in hog heaven. 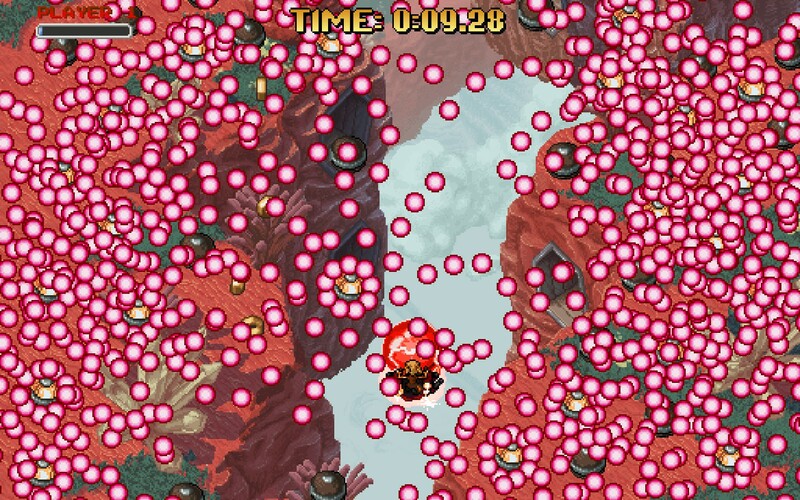 Jamestown is a finely-tuned shoot ‘em up; blasting enemies, dodging bullets, and collecting coins were all intrinsically satisfying experiences and its lax difficulty (or tough depending on how hard you want it) meant that I could get involved in the game, without pulling my hair out. 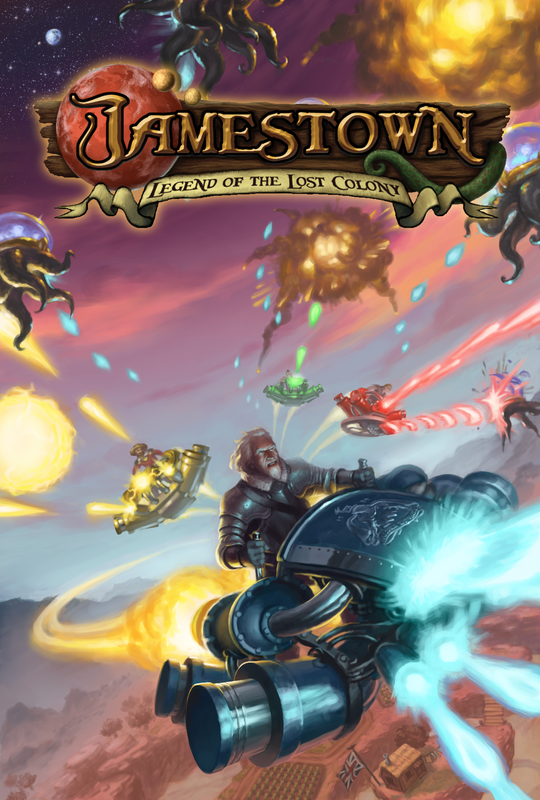 Jamestown: Legend of the Lost Colony is a fantastic game – kudos to Final Form Games.